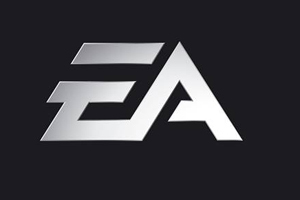 HMV, Game and Sainsbury's were among retailers at video game developer Electronic Arts' (EA) product launch showcase. EA’s experiential showcase – delivered by Circle Agency – provided a chance for 150 retail buyers and media representatives to be immersed in the video game giant’s product line up for Christmas. EA’s head of experiential and retail marketing Penny Humphrey worked closely with Circle Agency on the event, held at the Four Seasons Hotel in Hampshire. The venue was transformed into four brand environments, each themed to correspond to a different gaming genre. Live product showcases allowed groups of 25 to 30 delegates to try out the games and learn more about their design process. With a beach theme for the event, delegates also had the opportunity to network with games developers, as well as EA sales and marketing staff. Circle Agency managing director Claire Stokes said: "As this is an annual event, we really have to push the boundaries to ensure that we innovate and engage with the audience, and ensure that each delegate has a great day. More importantly, there is no question that the success of this event builds stronger relationships between EA and their retailers and ultimately delivers sales."